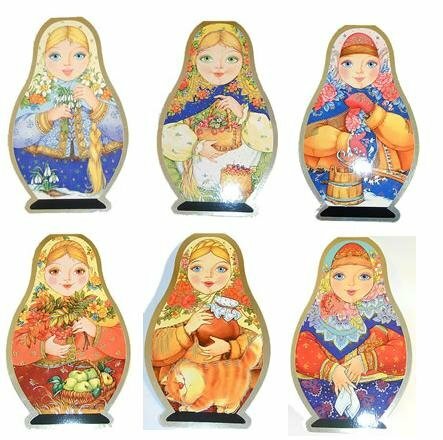 Die-Cut Matryoshka Cards are made in Russia. The maidens represent different seasons of the year. Colorful lithographed images with gold foil enhancements, 8¼"x5" with envelopes. Some of these cards are blank inside, and others have greetings printed in Russian.